Both terms are used a lot nowadays, but few people really know what either of them mean. Mindfulness is being promoted by university professors, spiritual leaders, celebrities, as well as the NHS. It is being recommended to overcome depression, stress and over-thinking. But what is it? And what is its connection with tantric massage? So different teachers explain it in different ways. For our purposes during a tantric massage, it helps us to be aware that we are not our thoughts. With the help of deep breathing, we can connect with ourself in a more total way and become an objective witness of our thoughts. The point is that our minds wander through all kinds of thoughts and it is our thoughts which can create tension in the body, make us dwell in the past or remain ‘in our heads’ and out of touch with our bodies and what is happening in this very moment. 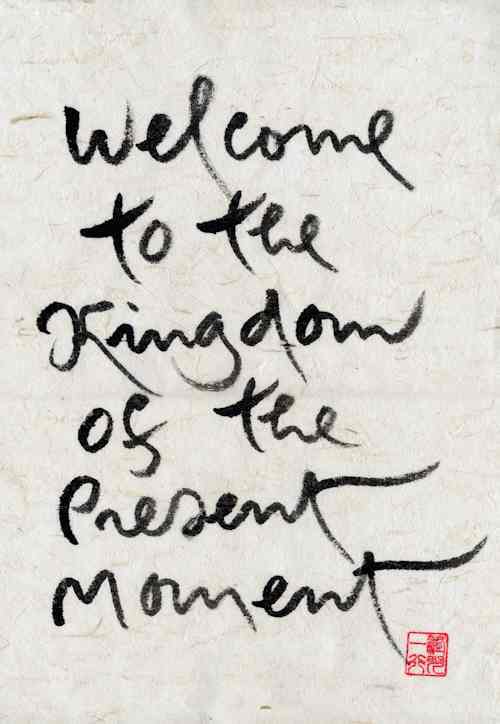 This is why, in our tantric massage session, we go through a few minutes of mindfulness meditation with our clients. This helps bring them into” the moment’ enabling them to relax and not to remain stuck in their thoughts and worries. They then can feel more deeply the various pleasant feelings and stirrings of energy in the body. Many people are not even aware that there is a constant flow of thoughts In their mind when they arrive here. They don’t realise that it is distracting them from the actual experience of the massage. It is only after the massage has begun that they realise that they are relaxing, and not so much identified with all the worries of the day. 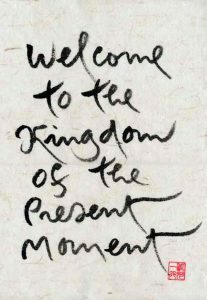 The aim of mindfulness is not to clear the mind of thoughts, but to be able to focus on what we are experiencing in this very moment.That is why It is a very helpful adjunct to tantric massage. Osho clarified the technique. He said that instead of struggling against the mind by trying to forcibly calm it, we instead need to become an observer of the mind. This is a very simple exercise and when tantric massage and mindfulness are combined in this way, the entire experience becomes much more powerful. These techniques also form part of the sexological bodywork training which I have mentioned in a previous article.